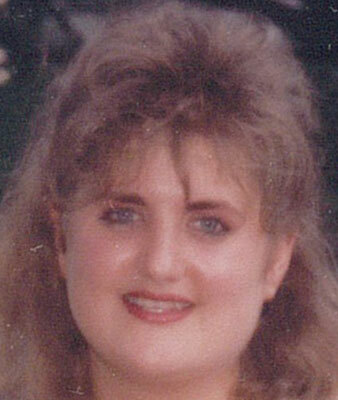 HUBBARD - Sherry A. DeAngelis, 42, passed away suddenly at her residence. Sherry was born Jan. 28, 1976, in Youngstown. She was a daughter of Henry F. DeAngelis and Linda L. DeAngelis. Sherry was a 1994 graduate of McDonald High School and had been a member of the International Order Rainbow for Girls. She was a receptionist, who worked for James Tax Service in Champion and Loves Truck Stop in Hubbard. Sherry had previously worked for the Mahoning County Sheriffs Department. Sherry was an avid fan of NASCAR and WWE wrestling, and enjoyed watching NCIS shows. She leaves to cherish her memory, her mother Linda, with whom she made her home; her father, Henry of Youngstown; sister, Kellie Wray of Canfield; nieces, Paige Wray, Jayden Croft and Nikki Bryant; nephew, Tyler Wray; uncle and aunt, Gerald and Christine DeAngelis; and cousin, Corey DeAngelis. She was preceded in death by her grandparents, Henry and Catherine DeAngelis Sr. and Gilbert and Mildred DeSoto. Funeral services will be held on Wednesday, Feb. 14, at 6 p.m. at the Blackstone Funeral Home in Girard, where the family will receive relatives and friends from 4 p.m. until the time of service. The family requests any memorial contributions be made to Angels for Animals, 4750 W. South Range Road., Canfield, Oh 44406, in Sherrys memory.